God made you to be each of these—and much more. 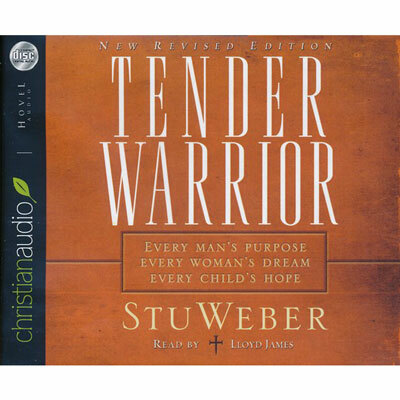 Now revised throughout and refreshed with an attractive new look, Stu Weber's bestseller paints a dramatic and compelling picture of balanced manhood according to God's vision. Written in a warm, personal style, Tender Warrior presents the characteristics of tender warriors—including learning to speak the language of women, watching out for what lies ahead, and keeping commitments—in an upfront, straightforward style that challenges readers to realize God's plan for men. Stu Weber is senior pastor of Good Shepherd Community Church near Gresham, Oregon. He is a much-in-demand international speaker and the author of the popular Four Pillar's of a Man's Heart, All the King's Men, and Along the Road to Manhood. He and his wife, Linda, have three married sons, Kent, Blake, and Ryan, and a growing group of happy grandchildren.